The challenge of this site was to design functional living spaces while resolving a series of problems. 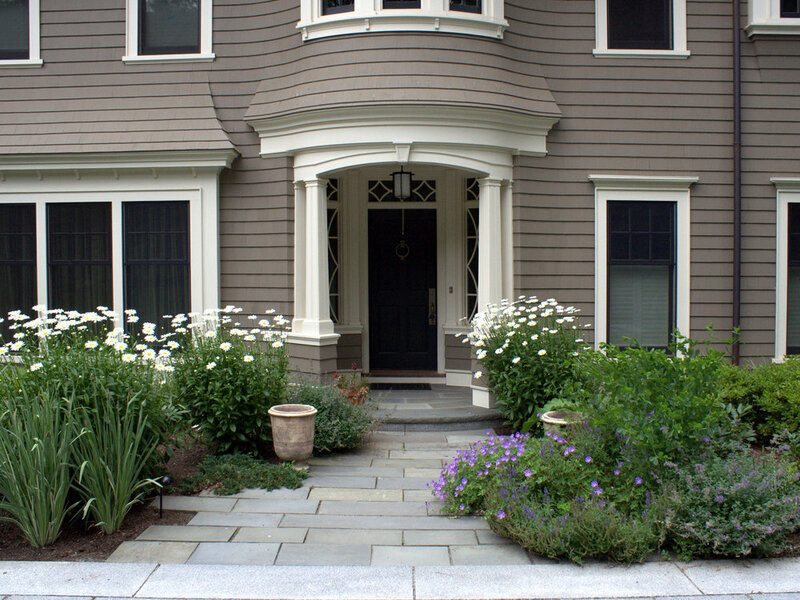 Two entry courts offer suitable welcomes to the home: a formal granite court that is approached from above as one descends down a once blind driveway, and a more utilitarian play court off the garage. The rear yard, once disconnected from the house, is terraced and suitable for entertaining. 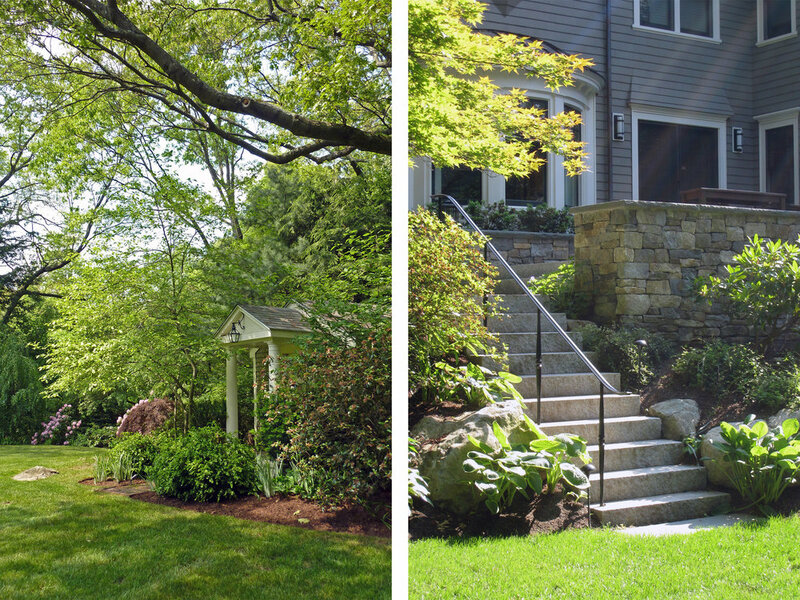 A granite stair descends from the terrace to a new expanded lower lawn. 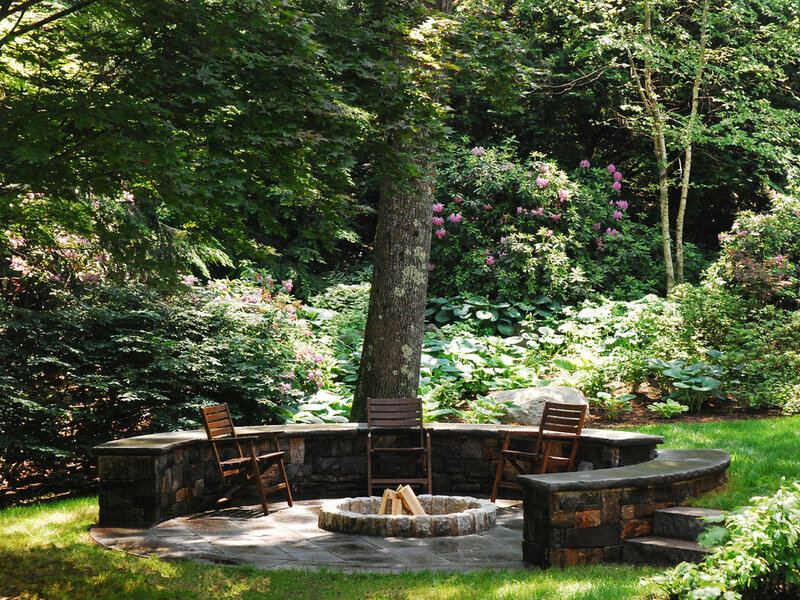 A custom fire pit sits off the upper terrace and provides a more intimate gathering space.